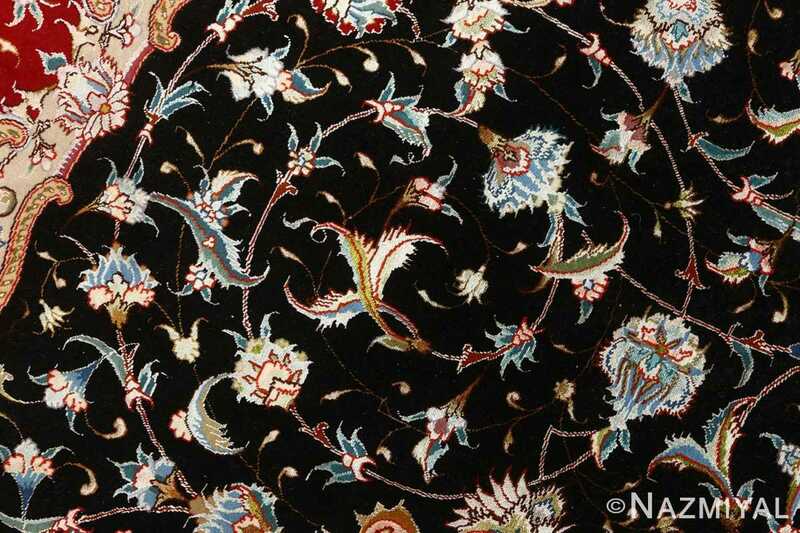 Intricate Round Black Vintage Tabriz Persian Rug 51136, Knots Per Square Inch KPSI: 650, Country of Origin / Rug Type: Vintage Persian Rug, Circa Date: Late 20th Century - The volcanic color palette used to define the landscape of this beautiful vintage Persian Tabriz rug provides the viewer with ample focal points to enjoy along the foreground. 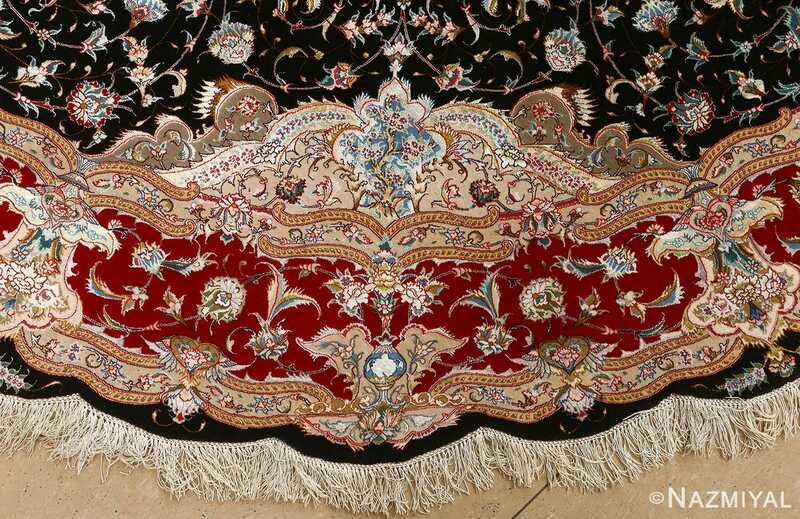 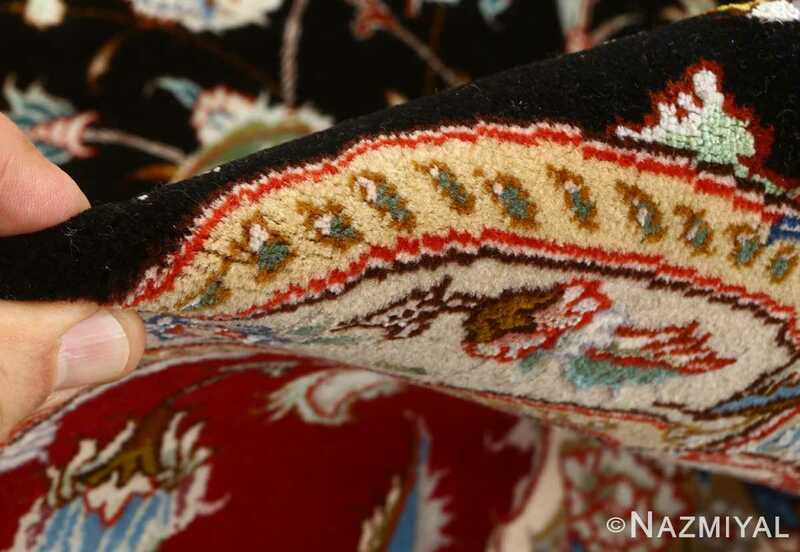 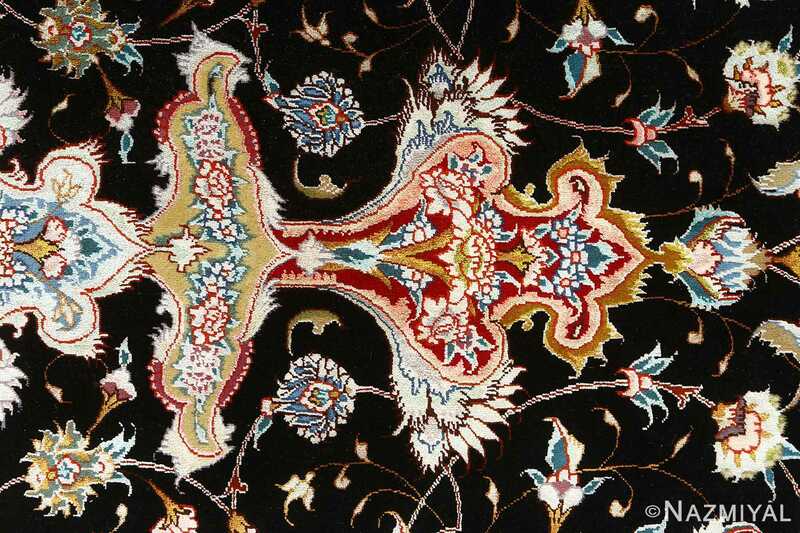 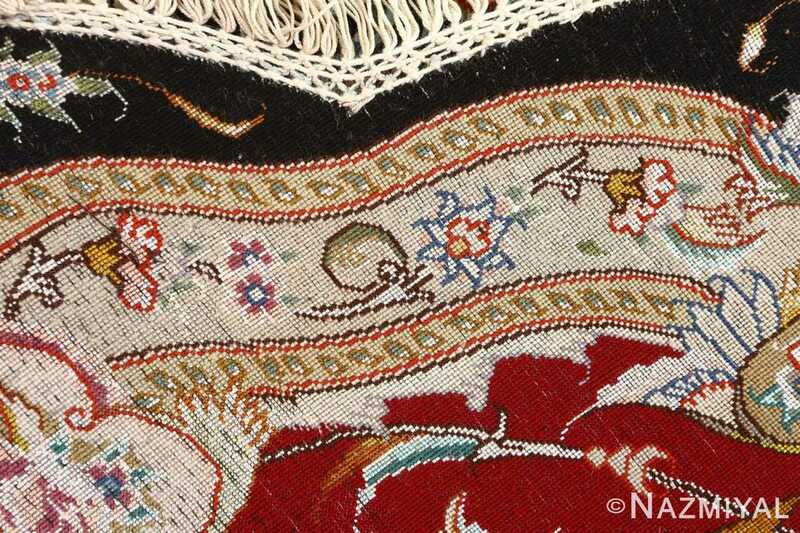 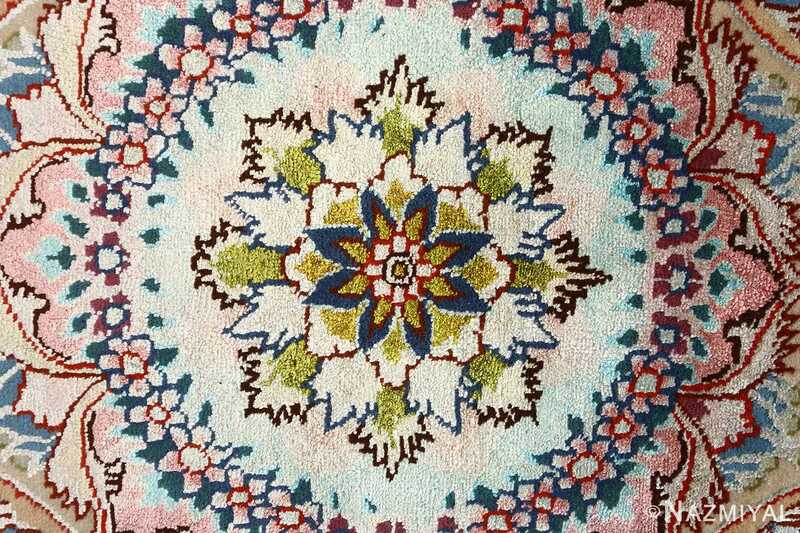 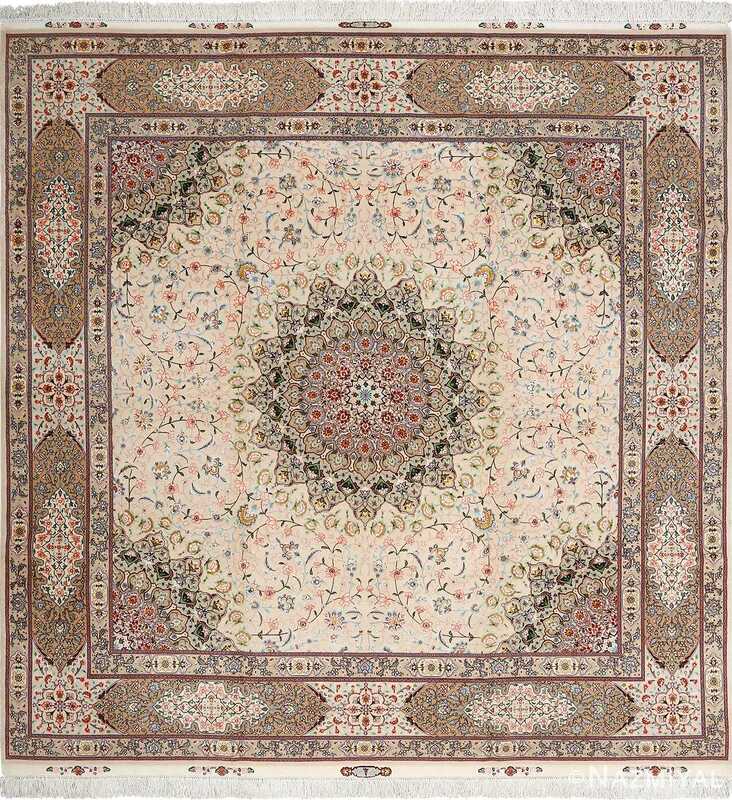 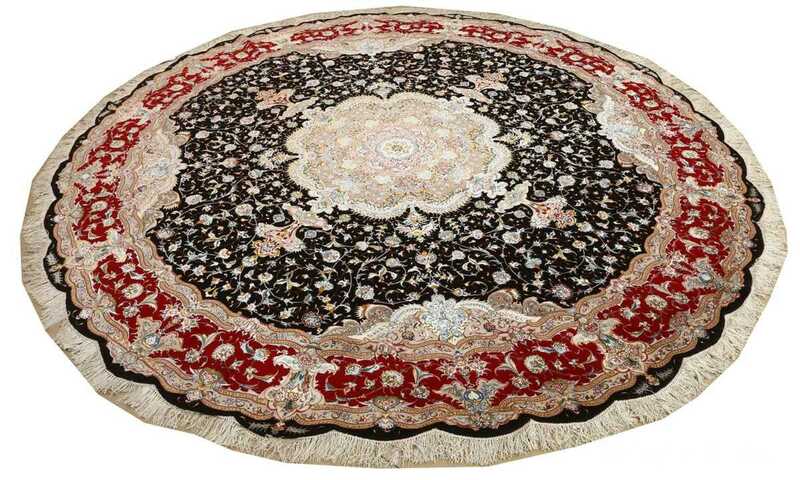 Winding vines, dancing leaves and curling stems all define the foreground of the vintage Persian rug. 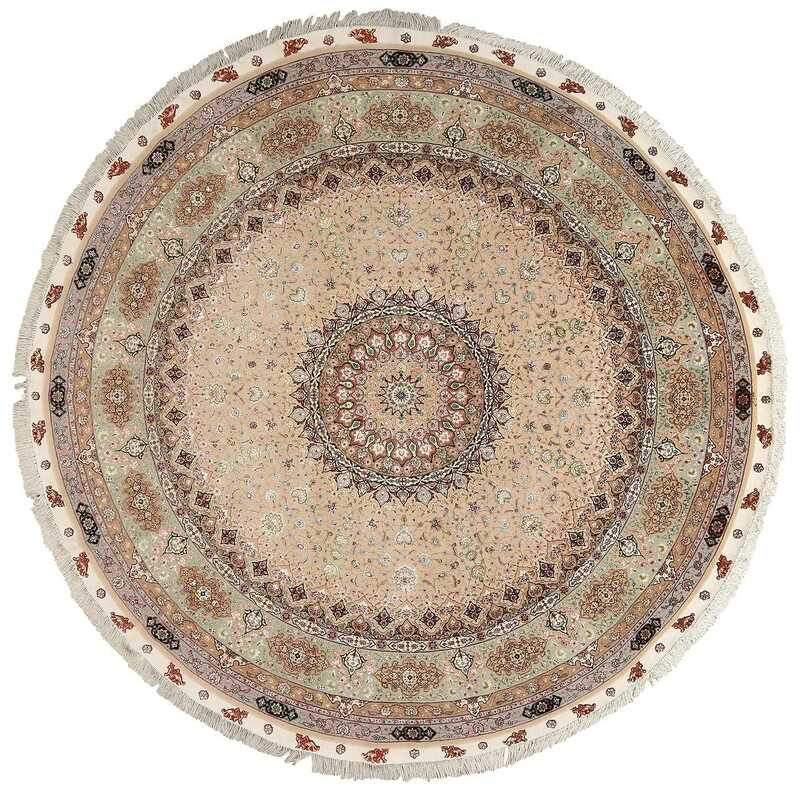 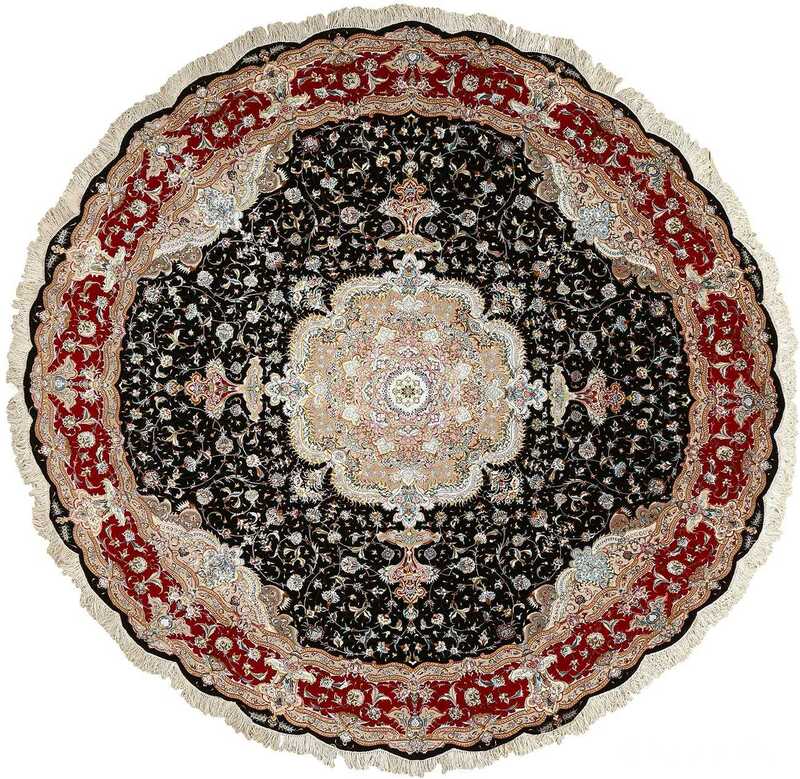 Lighter tones are used to define these motifs, and the darker elements along the heart of the beautiful round rug and primary borders allow these elements to stand out in a much more defined way. 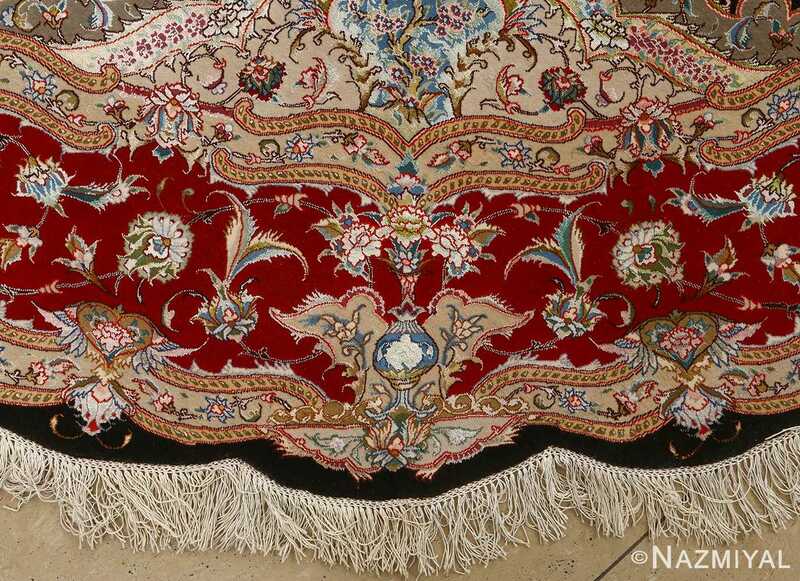 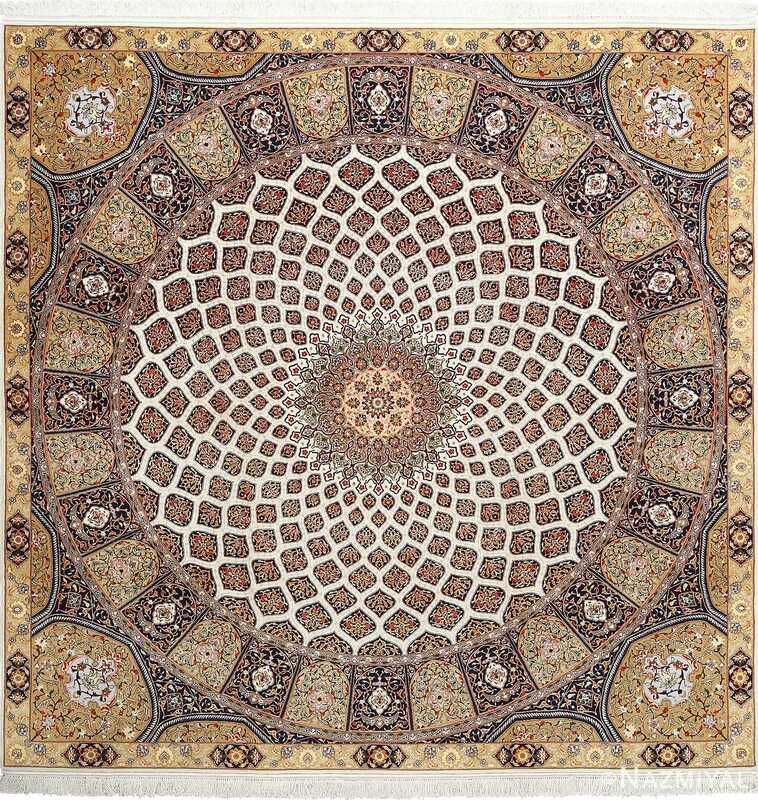 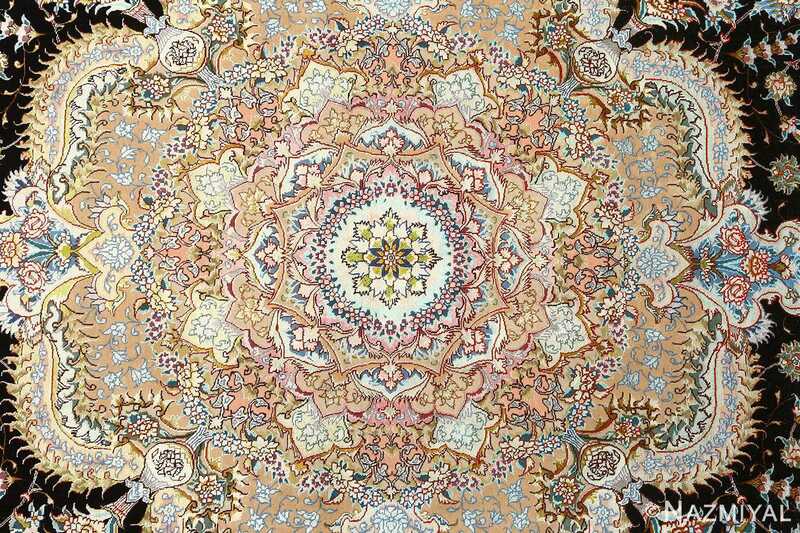 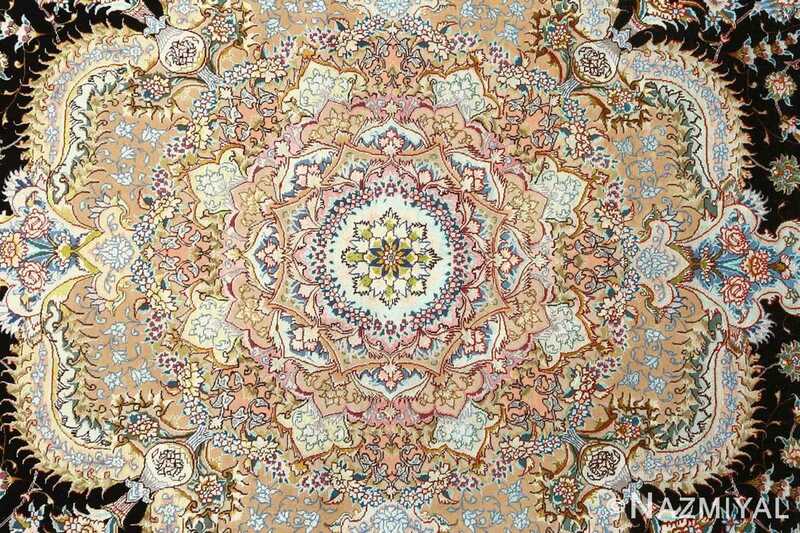 The sharp juxtaposition between the colors results in a night-like appearance, made all the more noticeable and breathtaking by the outer borders that encircle the heart of the Oriental rug, lending character and style to the motifs within.